is a family-oriented program, encouraging swimmers to work toward achieving their fullest potential while supporting and encouraging the efforts and achievements of their teammates. 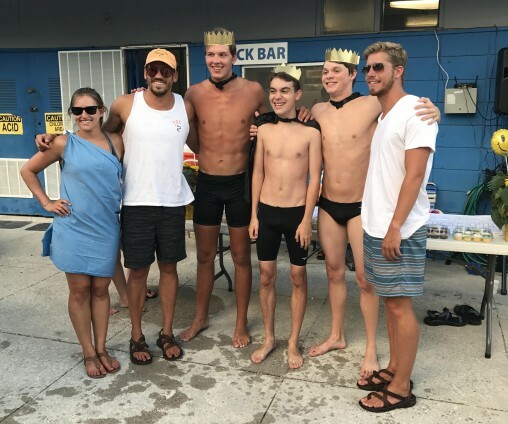 Essential to our success is the concept of team spirit and camaraderie strengthened through hours of practice, support of team members, mentoring opportunities for older swimmers and acceptance of new challenges and greater responsibility. A member of the Greater Knoxville Area Interclub Swim Association (GKAISA), the AJCC Smokin' Salmon is open for girls and boys ages 5-18. Swimmers are divided into age group competition levels. The AJCC Swim Team coaching staff consists of experienced, highly motivated. We provide a low coach-to-swimmer ratio to ensure that each swimmer is given the personal attention and instruction needed to reach his/her potential. Coaches will work with swimmers during practices to ensure the swimmer is working at a level that both challenges and encourages. If you have questions about any of our programs, please call us at 690-6343. We hope you join us for another exceptional “Most Fun Under the Sun” at the AJCC. All swimmers must register and pay through this site. Registrations can no longer be handled through the KJA office. Practice begins on May 28th! Unless otherwise announced, all practices will be at the AJCC pool.